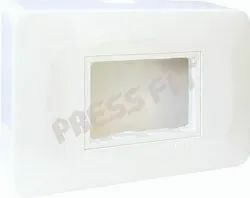 Manufacturer of a wide range of products which include press fit - nano gang box, press fit - uni modular gang box, press fit - gold gang box, press fit - echo gang box, press fit lx modular gang box and press fit nano plus gang box. 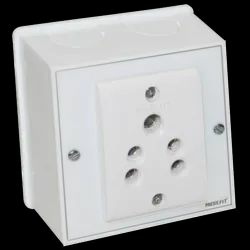 Gang Box is required for fixing switch, dimmer, or outlet. 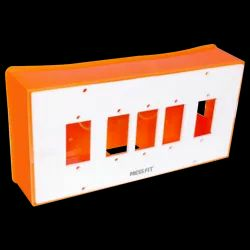 It is made of high-grade non-conductive material to assure the safety of handler & system as well. 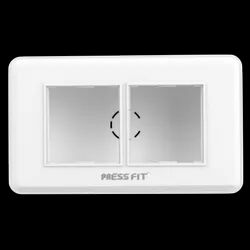 It is also known to be light in weight and assuring easy installation. It is deep enough to easily accommodate a stack of wires in tangle-free nature. 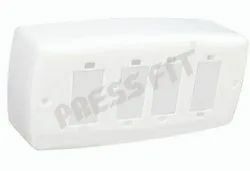 Gang Box is required for fixing switch, dimmer, or outlet. 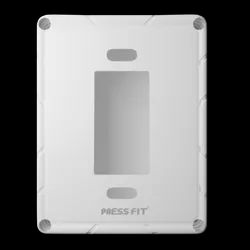 It is made of high-grade non-conductive material to assure the safety of the handler & system as well. 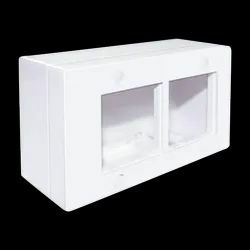 It is also known to be light in weight and assuring easy installation. It is deep enough to easily accommodate a stack of wires in tangle-free nature.